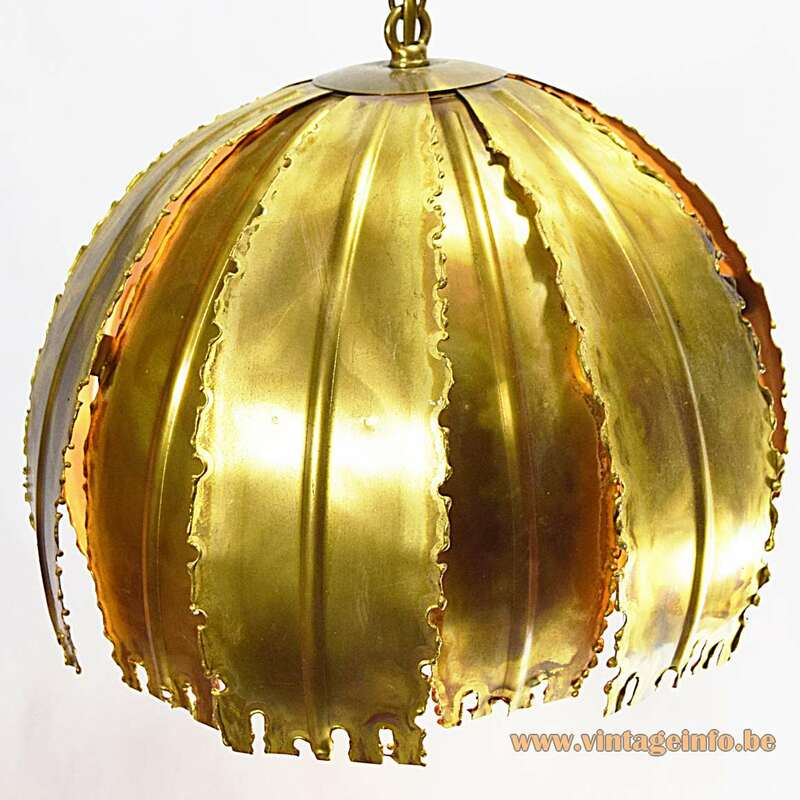 Materials: Brass burned on the edges. Brass chain, Bakelite socket. Any type of light bulb with an E27 screw base can be used. 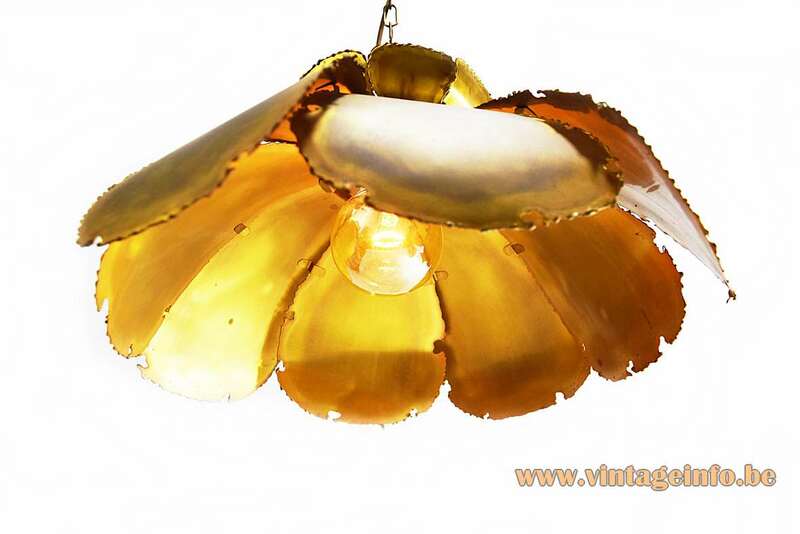 Period: 1960s, 1970s – Brutalist, Mid-Century Modern. Designer: Svend Aage Holm Sørensen (1913 – 2004). 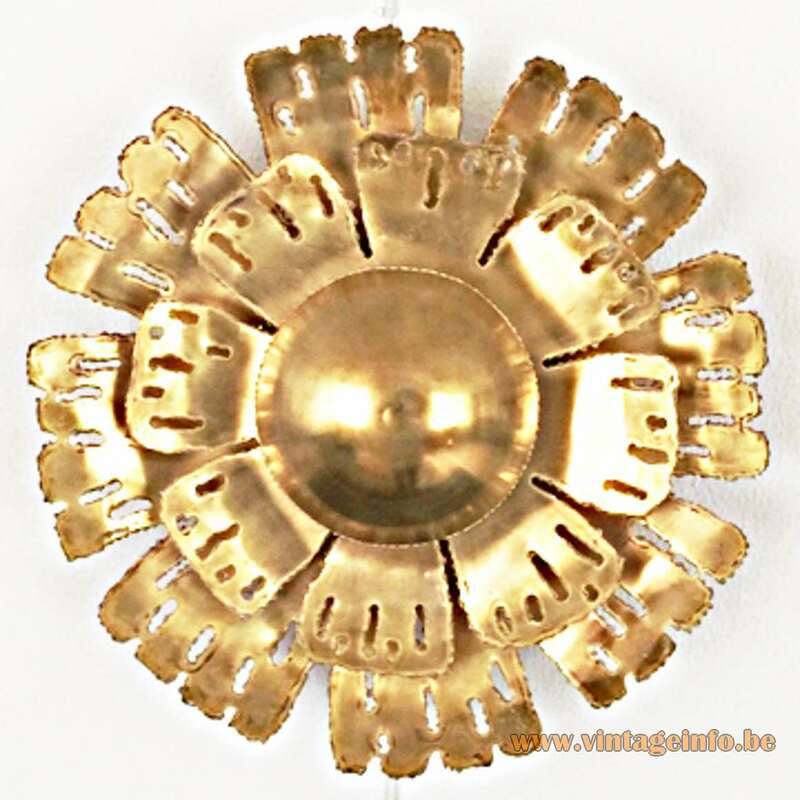 Manufacturer: Holm-Sorensen & Pedersen Belysning ApS – Holm-Sorensen & Co. AS, Denmark. 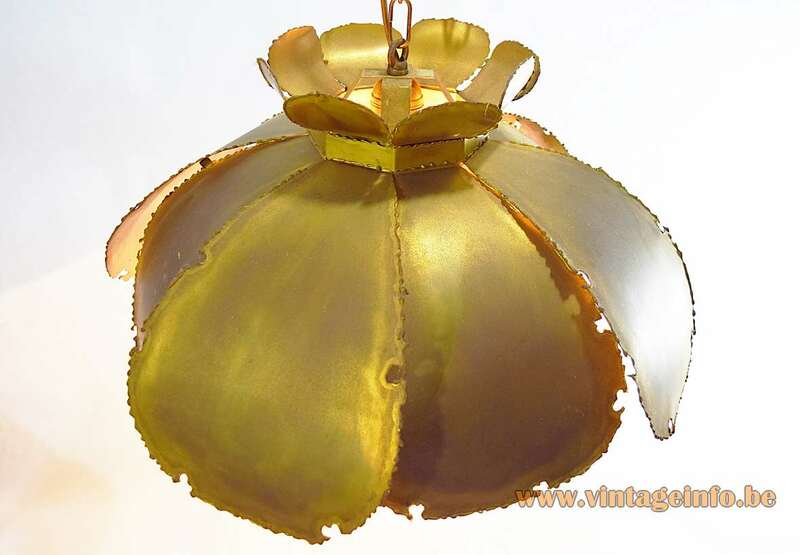 Other versions: Svend Aage Holm Sørensen designed many lights in this style as you can see below. 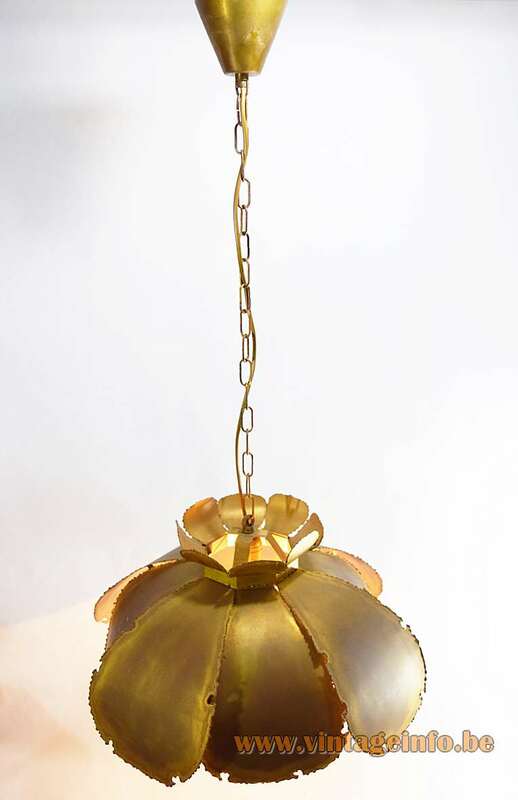 Brutalist pendant lamp designed by Svend Aage Holm Sørensen in the 1960s for Holm-Sorensen & Co. AS, Denmark, model 6436. 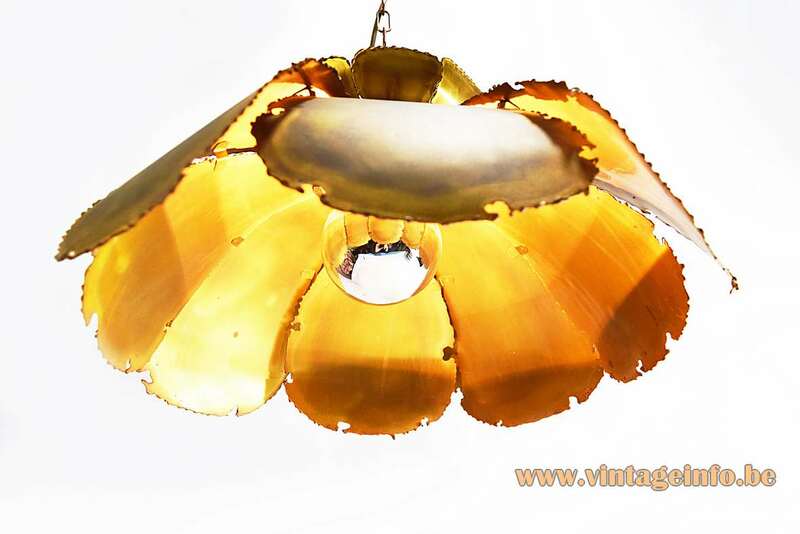 Svend Aage Holm Sørensen was a Danish designer who created lights for Fog & Mørup in the 1950s. He founded his company Holm Sørensen & Co in the mid 1950s. 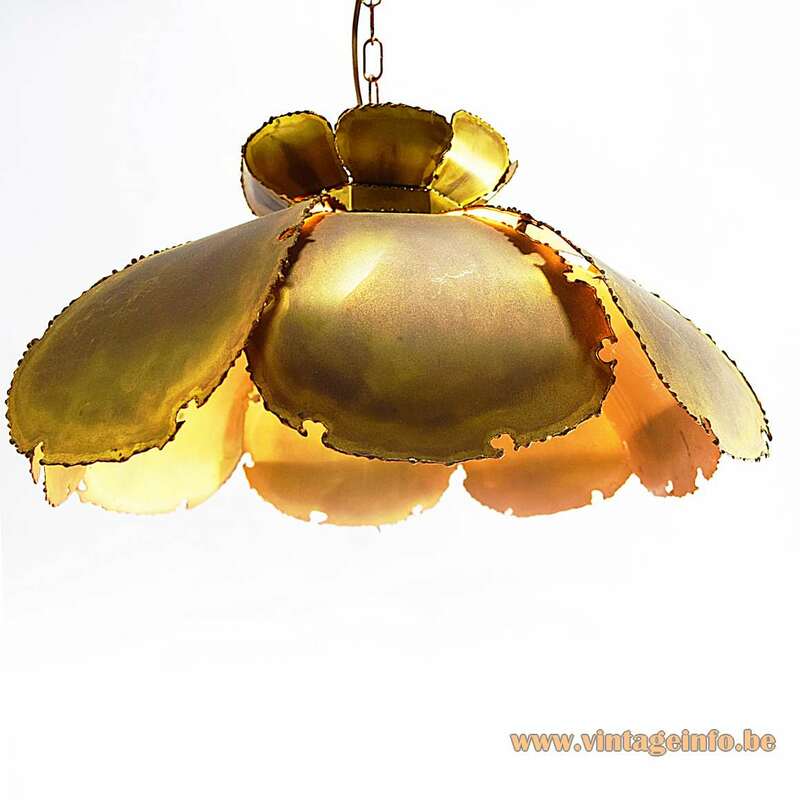 The production started with desk lights, but Svend invented his own special type of brass. 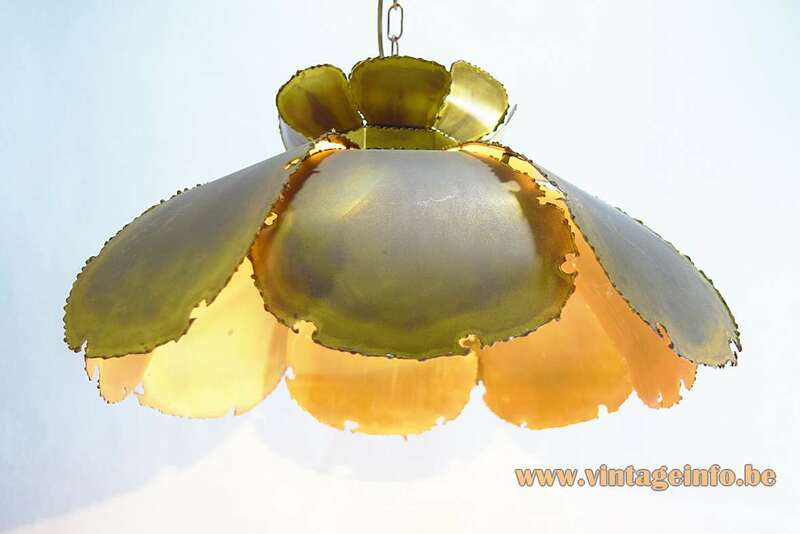 He used it to create very sculptural light up through the 1960s. The metal was often burned and cut with rustic edges and surfaces. 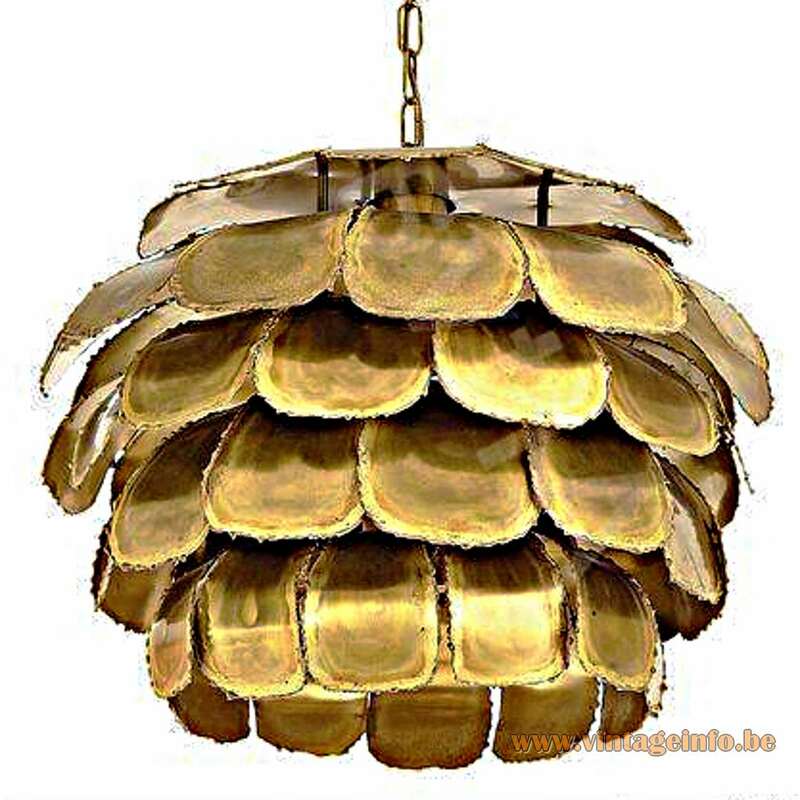 This pendant light is a beautiful example. 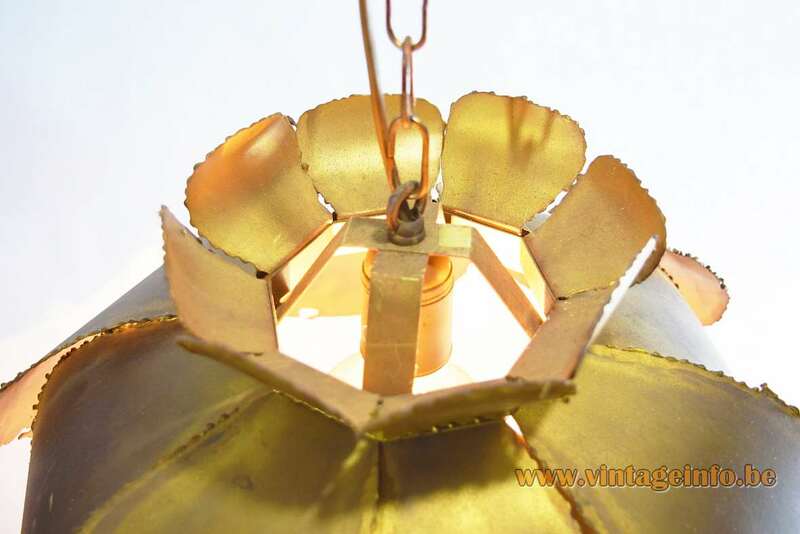 Several lamps made by Holm-Sorensen & Pedersen Belysning ApS are on display here on Vintageinfo. You can find them over here. 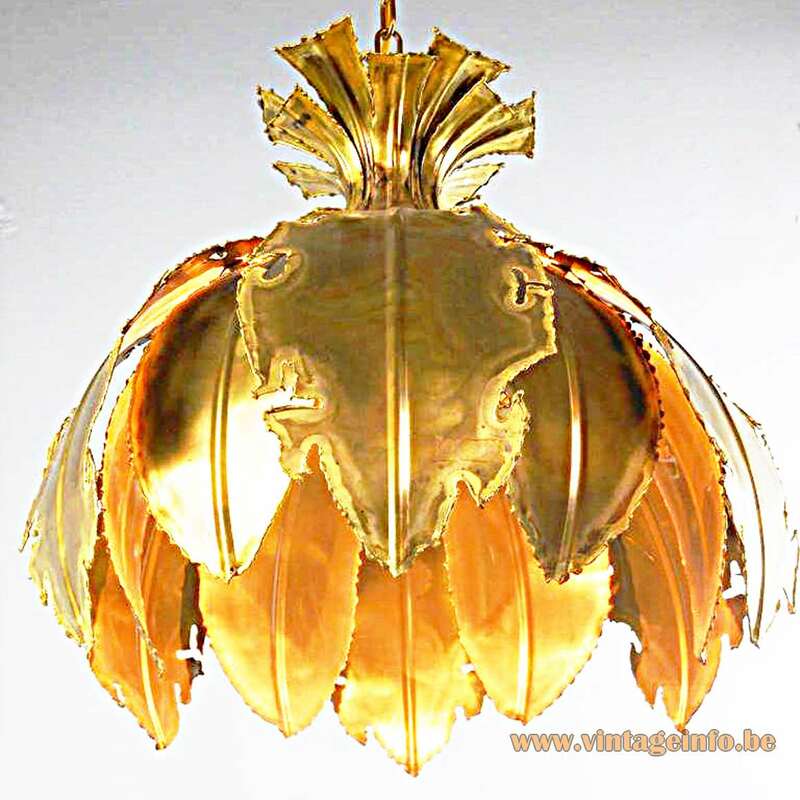 Another lamp by Svend Aage on this website: Svend Aage Holm Sørensen Pendant Lamp.